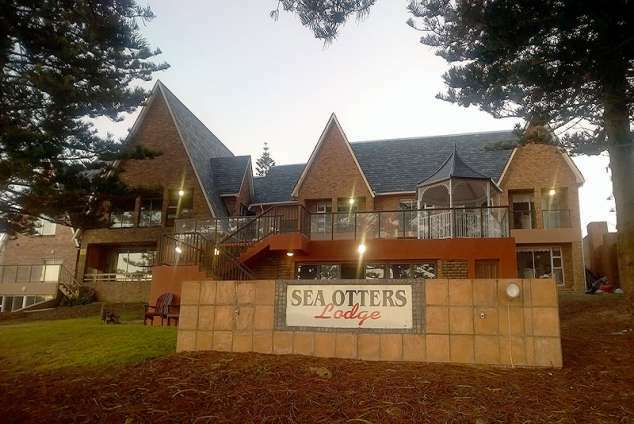 Sea Otters Lodge & Conference Centre - Kini Bay Accommodation. Beachfront accommodation with six sea facing en-suite bedrooms with sea view, direct access onto the beach, free Wi-Fi, free breakfast served to overnight guests, on-site braai facilities for guests, free on-site parking, microwave on each floor level, exclusive use guest lounges / dining areas and more. Escape the busy city life come & enjoy some of the fine things that life has to offer. Savour the peace and quiet of this beautiful hidden gem, while listening to the waves breaking on the shore and enjoy a walk on the beach while gathering some pebbles and shells or enjoy reading a book on the sundeck whilst enjoying a refreshing beverage. Sea Otters Lodge is a place like none other, its blissful surroundings and beautiful settings make it the ideal place for social gatherings, be it a get together, birthday, anniversary or wedding. For those couples wanting to get married near the seaside, Sea Otters Lodge guarantees an incredible experience on this magical and unforgettable day. 20857 page views since 24 Jan, 2006. Last updated on 30 Oct, 2017.